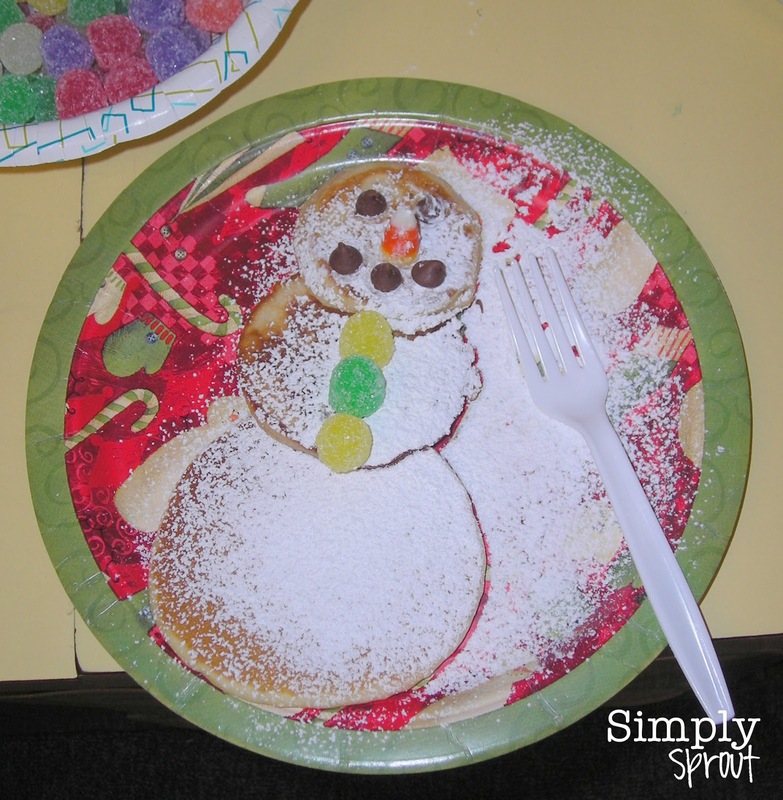 Paper plate snowmen are about as close as we get to Frosty down in the deep south. We dodge hurricanes and tropical storms, but the chances of relishing in a day off from school due to snow is unfathomable. So each year it brings me joy to host a "Snow Day" in my classroom. 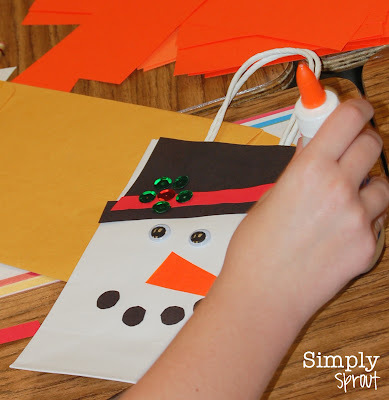 This year, I ventured to my son's class for a wintery day of fun! I always ask the students to wear their pjs to school, and the fun begins from there! * Pin the nose on the snowman. 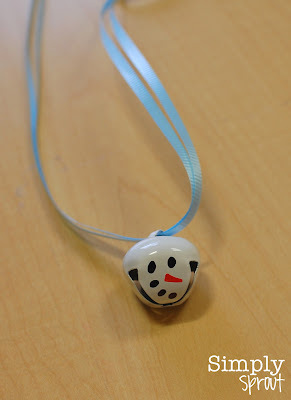 * Make jingle bell necklaces. * Compare and contrast snow and sand (since we have plenty of that in Florida). I let the children feel sand and then feel some Insta-Snow. * Collect mittens and socks for our local homeless shelter. 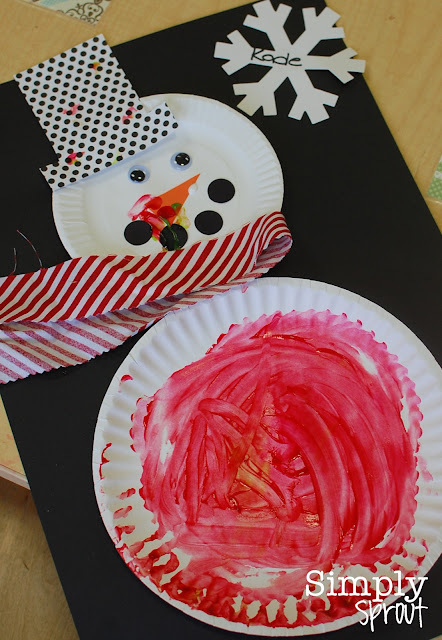 * Snowman art work (the paper plate creation above was a perfect place for some finger painting fun for toddlers). * Find a city that has snowy weather on a day that we have mild and sunny weather. 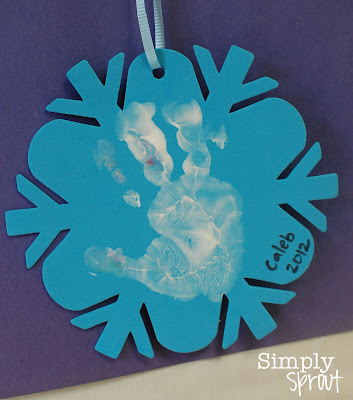 Foam snowflake cutouts from the dollar section at Target were a perfect place for a tiny hand print. This child decided he didn't want to put his pinky finger down! Turning a plain white gift bag into a snowman sack is a great way to transport a child's Snow Day creations home. Snowman pancakes with gumdrop buttons, chocolate chips, candy corn, and a little powdered sugar makes for a yummy treat! Another easy snowman treat can be created with powdered doughnuts, mini chocolate chips, and candy corn. 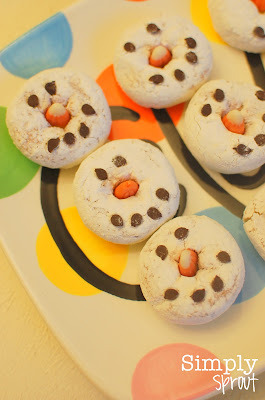 Let the kids enjoy some hot chocolate and marshmallows too! Whether a white Christmas is in the forecast for your area or not, you still can have tons of snowy fun with children!